Mountain Sport Collective Great technical analysis on back country summits. This page is related to equipment that I have used for my activating. Previous postings refer to the Elecraft KX3 and how it has performed thus far. The main antenna used has been an open wire fed doublet that is an extended double zepp on 20 metres. Supported by a 7 metre heavy duty squid pole, it is typically in some form inverted V formation. The length of 5/8 wave length on 2o metres for each leg provides a theoretical gain of 3db over a dipole in ideal conditions. It has sharp front and back lobes plus useful side lobes at 35 degrees. With the KX3 internal tuner, it works a treat on all bands between 80 and 6 metres without having to make any physical changes. The radiation pattern does change however. I found that on 10 metres the best radiation lobe was about 45 degrees off broad side. This is as expected as the antenna will act more and more like a long wire with the increase in frequency. I have even used this antenna with 1/2 the wire still wound up on the winders (To Hell and Back) and practically on the ground from The Bluff. The other frequently used antenna has been the Alex Loop. This is a magnetic loop, commercially made. In my opinion, the quality of build does not support the purchase price. It works well enough and is very convenient when travelling or in tight locations. I find the tuning on 10 metres to be less than desirable, a better match can be had by distorting the main loop to provide more coupling to the drive loop. The coaxial cable joint to the drive loop broke and required repair. I purchased this antenna principally for our France Trip where only a compact unit could be used on our canal boat! For 2 metres VHF I have used a 5/8th vertical ground plane antenna for FM and a 4 element yagi for SSB. Both systems coupled up to the 30 watt amplifier have worked very well. My first activation of Mt. Torbreck was on 2 metres FM using the FT470 and this set up. Now for the other stuff. What you use and / or need to get to a summit! I like something that provides excellent ankle support and started off with my trusty AKU Gore-Tex boots. These served me well but, after our Alaska and Canada Trip, were finally beyond being worn out – holes and bugger all tread. Still, they were well over 10 years old but really started to get a work out with SOTA. The replacement boots are a La Sportiva Colbricon High GTX Gore-Tex & leather insert boot. They are quite a bit lighter than the AKU which is great for traveling and also reduces fatigue when walking. I selected these over many others principally on comfort and that they were in my price range – about $300 AUD I think. I like Gore-Tex for its weight and toughness. It is very water tight & does not get heavy when wet. Quick to dry, easy to clean. These boots have now had a solid work out over a multitude of surfaces varying from roads, rocks, mud, snow, very fine lava type gravel and more. They remain very comfortable and I am yet to have had a blister. Original laces remain in good condition. I have taken to wearing Merino socks and, at times liner socks as well. I continue to be impressed with these boots. They have had a real bash with SOTA plus general hiking carrying loads. This consists of two trips to Torres del Paine in Chile, two trips around El-Chalten in Argentina including the border crossing to Villa O’Higgins & up to Cerro Castillo the Lakes District in Argentina / Chile and the Atacama Desert region. I have never had a blister (I do work in boots everyday). Still on original boot laces. Tread is now starting to look a little thin! These are much easier on maintenance than my leather steel cap work boots and I really like the light weight; when an airline’s luggage limit is only 15kg, every little bit helps! Cleaning: Remove laces (loosen only if the ends are frayed) to get ann the grit away from the tongue. Likewise remove the sole insert to remove grit. Clean with water and scrubbing brush. Use only a GORE-TEX suitable water-proofing agent; NEVER silicon spay. See below. Wide foot volumes and enhanced flexibility provide maximum comfort. The 3D Flex System provides support and maximum stability control on all types of terrain. Protective toe and reinforcements protect against branches and roots. The breathable and waterproof Gore-Tex Performance Comfort lining guarantees a breathable and waterproof boot. The use of first class leathers and fabrics along with the Vibram outsole make this the perfect 4-season hiking boot. Uppers: Suede leather + abrasion resistant fabric + coated, abrasion resistant, protective toe cap. Wide foot volumes, enhanced flexibility and extremely soft foot-bed to facilitate walking. The 3D Flex System provides support and maximum stability control on all types of terrain. Hoop lacing system for even distribution of tension.Maintenance notes: Clean off all the grit that builds up beneath the internal sole liner and particularly across the front beneath the lace area. Do NOT use silicon bases sprays for re-waterproofing. I have used Storm Fast Dry Proofer. The 300mm spray can does 2 pair of boots. We approached Machu Picchu from the Sun Gate. Wayna Picchu in the background. In 2013, I purchased Black Wolf Tempo 40 litre packs complete with hydration bladders for Nan and I to use on our South American Adventure. Part of this was a walk into Machu Picchu along part of the Inca Trail. These packs had a light weight frame, allowing air flow across the back which is really great when you start to sweat. Loaded up with our requirements for a few days plus boxed lunch for the walk in, they performed admirably. My pack became my Sota Pack and I had been reasonably happy with the following exceptions. The Black Wolf water bladder has inadequate support where it ties into the pack; the mounting holes are not reinforced and thus tear easily. Gaffer Tape to the rescue. The top external zipper failed in April last year. More gaffer tape but the stitching supporting the zip is also failing. More like a bonding glue than stitching. In Canada, the zip on one of the side pockets got stuck, had to cut the pocket open in order to retrieve a pocket knife prior to going through airport security. At Mt. Hotham, the sternum strap clip failed on numerous occasions. I will retain this pack for light duty or tight access activations. addendum 2019, pack will soon be binned! I have just purchased an Osprey ATMOS 50 pack. This is more than a day pack, has an excellent “Anti Gravity” Harness and thus far is extremely comfortable. I have also purchased a Sea To Summit Siliconised Cordura Pack Cover plus a 2 litre Osprey Hydration Bladder – this unit, whilst being a little heavier than a Camelbak, sits very flat and thus much better in the pack. It has been superseded by a yet to be released (now released) in VK 2.5 litre variant. 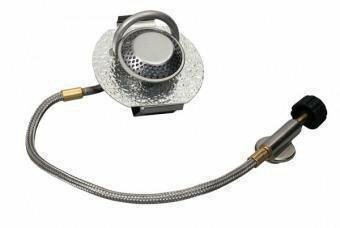 Features are a plastic backing plate, plastic protection strip for the hose that also acts as a handle plus a magnetic clip for the hose to stick on the pack. I intend to use this mostly without the removable top hood, making it a bit smaller and lighter. The 50 litre ATMOS will be used predominantly for short or simple day hikes. I also have the 65 Litre Atmos which is better suited for overnighting. It has additional pockets, bigger hood and sleeping mat straps that I use for the tent. I have now extensively used the Atmos 65 on multi day hikes; predominantly overseas. It took a little while to get the set-up right but I am now quite happy with it. Recently in Argentina, I had it loaded with approximately 25 kg on the border crossing towards Villa O’Higgins from El-Chalten. Mine is the cheaper version. A light weight version is also available at more than 2.5 times the purchase price. It was not in stock at the time of purchase. Benefits are lighter weight, better waterproofing and tear resistance. Being a silicon coated fabric, it should be less breathable. More on Water Bladders. With Nan now having the Atmos Aura 65 litre (small) and myself the Atmos 65 litre (medium) I purchased some additional bladders. Initially I got the now available 2.5 litre bladder for Nan and a bit later I picked up the 3 litre one. water still tastes like plastic. The internal support clip mechanism does not instill confidence. Mine has actually broken (note more recent models have a stronger modified clip that is supported on both rather than just one side). The 2.5 litre model has some baffles that enables it to sit quite flat where as the 3 litre version, even with a backing plate, sits out 80 or more millimetres. This makes it difficult to place into an already loaded pack after a refill. The fold over fill tab means that water is easily spilt when filling. Good points are a lighter weight, comes standard with a disconnect clip (this has been dislodged whilst in pack) and of course the magnetic hose clip. I am looking at replacing mine with the Camelbak short 3 Litre as shown on the right. 2/1/2018. A trek over the Baw Baw Plateau saw the 3 Litre short Camel backs used seriously for the first time. Nan had no issue but mine leaked. Fortunately the sleeping bag was in a dry sack and my pants dried out. Casual observation does not show where the leak is but I suspect the bladder filler cap leaks when compressed with the contents inside the pack being tensioned up. Solution is to place the bladder on in the external rear pocket of the pack; bonus here is more internal room (bladder pocket can be used for flat items such as lunch wraps) and the bladder is much easier to top up – and does not leak! Purchased specifically for the Hells Gate activation, I now wonder how I went without them? I have always used ankle gaiters that are great for keeping grass seeds out but these Sea to Summit Quagmire gaiters are like wearing light weight body armour. Walking through long wet grass, boots, feet and lower legs are kept dry as a bone. Great to deflect the bush and the odd rock. Protection from snakes and other bity things. I even use them to store maps that are protected in a plastic cover but easy to access from the gaiter. Besides the Silva Ranger Compass, I now use a Garmin GPS Map62S running Garmin VK & ZL Topo V5 with 10 metre contours. The mapping has some minor improvements on the V3 software plus 10 metre rather than 20 metre contours. It is much easier to use than the old Garmin GPS 2 plus that dies not have mapping functions. It also has a velcro harness that attaches to the pack shoulder harness for easy use. (Shoulder harness proved to be a bit of a pain. One of the velcro tabs holding it to the pack has broken and the velcro has become less sticky with time and use; meaning the GPS falls off and hangs by the safety cord. Now just using a carabiner clip or putting it in my Osprey Grab Bag. Also in the pack is my Spot 3 Messenger . The buttons etc are not as robust as the Spot 2 and thus the gaffer tape. Have also lost the usb cover plug. Comes with a better harness clip than the Spot 2 (Spot 2 broke leaving it on a track in the Alpine National Park) Found and returned a couple of months later but not before I had purchased a new one. 7 inch screen, robust construction and a good receiver. Has an SD card input for additional maps. This came with IGO mapping and could also run other WINCE applications such as OzExplorer. I found the unit would practically stall when running OzExplorer off the micro SD card – taking forever to acquire satellite lock making it useless. Satisfactory performance was had when overseas IGO map data was deleted and OziExplorer and associated maps were loaded directly into memory. The satellite receiver was still not great and would often loose signal. In the end, the receiver failed within 12 months of owner ship but little use. Have also used a Navman (WINCE) operating via Mio Pocket which is a Shell that allows native WINCE applications to be used. This worked quite well until the on off switch on the Navman died. The Navman was replaced by a “Response” GPS Navigator from Jaycar. Quite cheap but needed to install your own mapping. After 3 replacements I gave up with this heap of junk and got my money back. No longer sold by Jaycar! A world of difference in product quality (and price) between the 4 units. The Garmin product using Garmin Base Camp on a PC is a good trip planning and mapping option. Not available in Android. 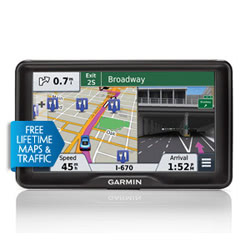 There is a considerable range of FREE maps available to use on Garmin Products, I have used such routable mapping when in France, Alaska and Canada. Could be considered a bit heavy. I use a spiral bound journal, an odd size closer to A4 than A5. I did start off with an A5 journal but find the bigger one easier to log with. I use the RHS for logging and the LHS for note making, very handy for DX CW contacts where I may not pick all of the call first go. Have a variety of pens, a pencil and sharpener available. There will usually be a jacket of some sort, fingerless gloves and the head phones are wrapped up in a beany hat. These are full cover over ear noise cancelling head phones. Now tend to use earphones courtesy of the San Francisco Big Bus Tour – smaller and lighter. Full headphones best in whilst flying! Always take some snacks such as fresh fruit and muesli bars. A map can be handy in unfamiliar areas. Copy of my amateur licence and a SOTA brochure plus the SOTA flag. Telephone, probably an essential item for spotting and messaging? Samsung Galaxy 5 using Sota Spotter rather than Rucksack Radio plus Sota Watch. If Telstra is your service provider, use a “Blue Tick” model! Mont Raindance Jacket. This is a waterproof and breathable rain jacket. With the up coming Patagonia Expedition, I have upgraded this jacket to a Mont Austral. The Austral is a traditional, all-purpose 3/4 length bushwalking rain jacket that is equally practical around town or travelling. Featuring a three piece storm hood with multi point adjustments, a triple storm flap system to protect the front zip from down pours and a waist draw-cord adjustment that is neatly concealed away in the lower front pockets reducing potential snag points. Tested in the worst imaginable conditions, the mid weight Hydronaute 3 layer fabric offers outstanding breathability and waterproofness while being durable enough to withstand the long-term use of heavy backpacks and offering a high level of pin-hole resistance making it an ideal choice for bushwalking. A stretch fit glove. Light weight and breathable. Sensors fitted to the thumb & fore finger fore use on phones and tablets. Should be light enough for cw use. Time will tell! Only to be used as CW gloves. Not tough enough to use with walking poles. To me, being a SOTA activator is more than accumulating the points. The thrill of an adventure is also a major part of the activation. That can start with research into unknown territory, studying maps, traveling information from others, Google Earth and the like. Then there is accessing the area and the activation. Balancing available time against other objectives such as working different bands, S2S contacts, DX and S2S DX contacts. I am now starting to get a bit more experienced and looking to further these adventures by doing overnight hikes (all single day activations thus far albeit vehicle based camping at times). In order to do this, I have been building up some new kit! First there are the aforementioned items such as the Atmos back pack, gaiters, boots and jacket. Stove: Using a Trangia 27 series with hard anodised pots and a kettle. Also purchased from Amazon UK a 1.5 litre billy and compatible butane gas burner. The 2 pots can double up as breakfast bowls and the kettle and larger billy are not used where weight is an issue. Other stuff like the Sea to Summit X set are used when travelling (not hiking) together with Sea to Summit Alpha Cutlery set. Ultra-light & strong 7075-T6 aircraft aluminum alloy, 37grams. The pack has a Sea To Summit pack cover but I also use Sea to Summit Ultrasil dry bags for individual packing. The tent goes on the outside of the hike pack. New purchases in preparation for the April 2017 Bogong Alpine area trip. Seat to Summit Thermolite Reactor Compact sleeping bag liner. Chosen as a balance of performance versus weight. Thoughts are that the additional warmth rating could be on the optimistic side? The Thermolite® Reactor Compact Plus increases sleeping bag performance by up to 11°C with its dual weight Thermolite® fabric. Specific panelling of 110g/m² Thermolite® in core body and foot bed areas retains heat, while the ergonomic design shaves off excess weight for a snug fit. Ideal for gram counters under 6ft tall. Columbia Go To Vest with Omni Heat, also Omni Heat Fleece Beanie and Neck Gaiter. Like its name implies, this ultralight, warm, and versatile down vest is your new go to for cold-weather adventure. Combining our superior synthetic insulation and a thermal-reflective lining for great heat retention with a high level of breathability, the Go To Jacket is the perfect partner to dynamic outdoor activity. A shell crafted of soft, water-resistant optic ripstop lends comfort and rich color, while variegated baffling lines flatter the torso. XTM base layer Merino 200 pants. I also have some Mountain Design base layer tops and pants plus 150 Merino T shirts. On the Bogong Trek I was using a Mountain Designs Super Dry long sleeve base layer together with a 150 weight Merino T shirt. Together with a North Face long sleeve fleece 1/4 zip jacket and the above mentioned vest. I used some nylon over pants and, apart from some sweat and damp socks, was completely dry. Note that cotton products (including socks and jocks) should be avoided. When wet, they stay wet and can cause the wearer to loose body heat. Use merino or super dry materials for these items too. I have had a USB power stick for years. Although rated at 3000mAh, its power delivery at only 1 amp means it is not of much use for smart phones and the like. Fine for a headlamp though! I have just purchased a USB power bank from Jaycar clearance; a10,400mAh Qualcomm® Quick Charge™ 3.0 Power Bank. Together with matching mains power and 12 volt chargers, this should fully recharge in 3.5 hours and the Qualcomm Chipset is compatible with quick charging of the Samsung Galaxy 5 & Samsung Galaxy S10.5 Tablet Qualcomm Snapdragon Chipset. The Qualcomm® Quick Charge™ 3.0 technology efficiently charges your compatible device up to 75% faster than standard chargers and is 38% more efficient than Qualcomm® Quick Charge™ 2.0. Four LEDs indicate the strength of the bank’s battery and device charging status. Fully recharge the battery in approximately 3.5 hours by using a Qualcomm® Quick Charge™ mains power adaptor or up to 8 hours by a standard USB cable to a PC or USB mains charger. The power bank will also shut down automatically after 4 seconds of inactivity to ensure the battery isn’t wasted. The power bank also features short-circuit and overload protection. Works best with Android smartphones and tablets equipped with Qualcomm® Quick Charge™ technology. Can still charge devices not equipped with Qualcomm® Quick Charge™ technology at their full standard charge rate up to 3A. I have been standardising portable gear to USB charging to reduce the amount of chargers and the like that seemed to be accumulating, all unnecessary weight and space whilst travelling. Thus far Nan & I have Ledlenser SEO7R head lamps, a Steripen Ultra water purifier, a USB charger for a Canon Powershot SX 50 HS (from eBay) and a USB AA/AAA NIMH charger from Bunnings (Varta) – for the Garmin GPS, will swap the Eneloop 1900mAh batteries to Pro 2550mAh batteries. Also from Jaycar I got a Jackson universal travel adapter with 4 x 2.5 amp rated (5 amp total) USB outputs. My thoughts are to use this with either the international inputs direct into foreign power points or use the Australian input and plug via a double adapter into a standard international adapter. The later option will allow standard USB plus Qualcomm 3.0 charging when only one power point is available. If more than one power point, the double adapter will not be required. This setup will take up less space and weigh less than taking a power board or power cube. I will still need a mains power outlet to charge the KX3 with internal batteries or the external battery. The key factor here is to use equipment that is rated for voltages between 100 to 240 volts. The Back Country Freeze Dry meals are simple and quite sufficient. A single meal requires 200 to 250mm of water. I have also used Happy Camper Meals but feel these are not best suited on overnight hikes due to weight and requiring the bigger billy to heat them in. The bigger billy is slow as it sits on top of the stove. The advantage of these however is the water can be used for other purposes. Lunch / Snacks I take Cliff Energy Bars and Beef Jerky. I have made up a portable 160 metre vertical antenna for the occasion and will trial it at Mt. Hotham on the 24th of February 2017.